Hot off the desk from the Trading Football chaps, some rather good news, look…..
Plus we have expanded our services with a new site dedicated to just trading horses too….. This is what we do, day in, day out…. 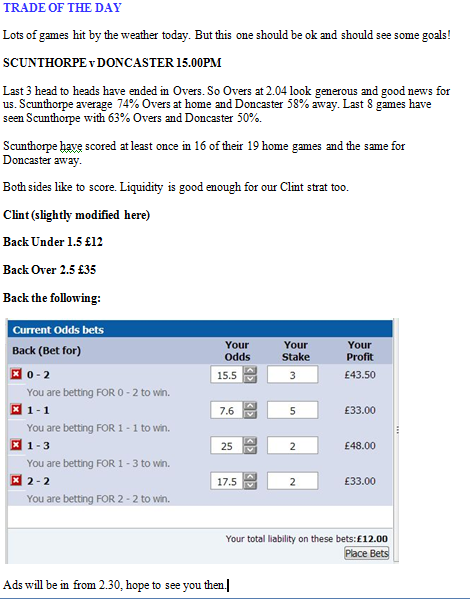 Some poor so and so Layed 0-3 at 120s here! Which was score at HT. No moves made and we still won despite the unlikely HT score which was not on the cards. We used the brilliant Draw Inflation tool throughout last season and over Euro 2012 with great success. So yet another tool in the box for a successful 2012-13 season of trading, love it! Here are some videos to give you an idea how it works when the Draw Inflation is high or low…. We have said it before but this is the no brainer of 2012, so what are you waiting for, come and take a look…. How’s this for a deal from the Trading Football chaps…. We’re having a Spring Special folks with a whopping 33% off normal prices. If you’d like to take this out please sign up below, it’s not on for long! 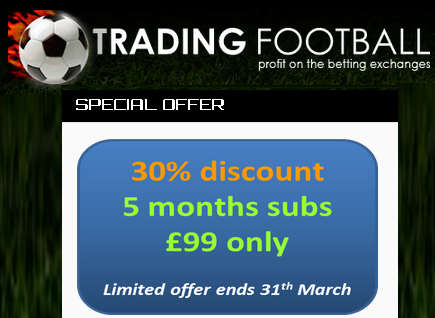 £99 for 5 months for the Draw Inflation, In Play Scanner & MarketMatcher software, access to all the strategies, tutorial videos, the whole forum and of course Green “chat” Room is excellent value for ££££. As one Member said in the week the DI alone is worth the subs. Now that is good but how about an extra 10% off too, no really. We have managed to secure a web exclusive deal for all bet72 visitors. If you sign up for the offer above and email the guys saying you saw this offer on bet72 they will send you 10% of your payment straight back! UPDATE: Due to popular demand we’ve extended the 5 month offer for £99 until the end of the month. This way you’ll be covered into the new season for as little as £20 a month that covers so much including the Draw Inflation, Market Matcher and In-Play Scanner. Plus of course the Green Room and trades we’re involved in, excellent value all in all. And of course the extra 10% cashback to all Bet72ers! But of course this crazy deal will not last forever, so you have until England kick off against San Marino on Friday to grab this, and then, it’s gone. Need to give this a second thought? With a full post match roundup too…. 1-2 at HT and choices were to green up for £25, let it run knowing 1-3 and 2-2 were covered and trade accordingly, OR Back Anyunq £5 and trade accordingly. An enjoyable easy going trade. And take a look at what the guys were upto on Tuesday night (19th March)…..
That is what they do, day in, day out. Plus just look at what else is on the inside of the site too…. We have said it before but this is the no brainer of 2013, so what are you waiting for, come and take a look (& don’t forget to claim your 10% cashback), just click below…. 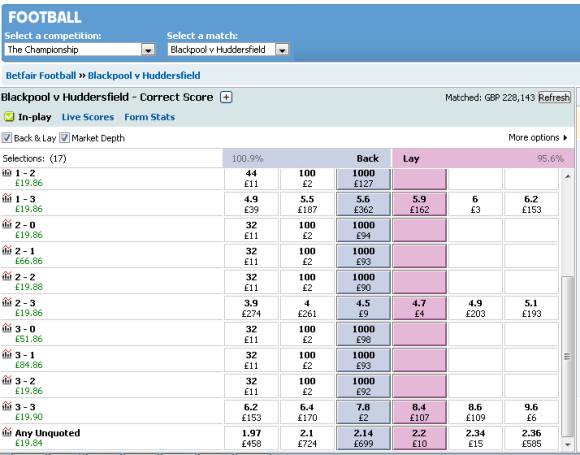 It certainly is Raymondo over at in the Green Room with the Trading Football chaps, as Tuesday Night is In Play night. Each Tuesday there is no official trade of the day, instead the floor is open to all members to offer up their suggestions along with the night’s moderator who will give a few of his own shout outs too to get you on your way…. Here are some highlights from the latest In Play Night….. So yet more tools in the box for a successful 2012-13 season of trading, love it! We have said it before but this is the no brainer of 2013, so what are you waiting for, come and take a look…. Whilst Messers Benitez and Torres were suffering at the hands of another Spaniard in the Capital One Cup Semi Final it was just another all green night in the Green Room with the Trading Football chaps. Well it is what they do day in, day out…. No exaggeration to say that this is one of the best trading chatrooms on the internet. For the record here is the morning email for the Trade of the Day above…..
Chelsea`s probable only chance of silverware this season so Benitez will field a strong line up. under the Spanish boss have won 8 from their last 11 games. It’s fastest finger first as there are just 25 places……go! 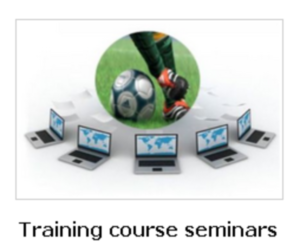 The training seminars are designed to further your understanding of the betting exchange football markets and thereby improve your profit potential. It is assumed that you already have a basic knowledge of Betfair as this course is not structured towards complete beginners. Presentation is given via an online webinar using screen capture software together with audio commentary. Question & answer opportunities at the end of each Theory segment. Live match trading is visible on the presenters` computer. 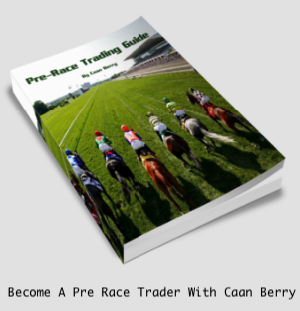 You will see in real time the trades and moves the presenter makes on his own Betfair screen. Where possible TV transmission of the match will be made available. Live radio coverage is the alternative. Attendees are requested to have a Skype account in order to hear the audio commentary. This training seminar will set you on your way to achieve your goal – to be a better exchange sports trader! Click below for full details on how to join…..